This is one of the finest interiors in Britain, an ecclesiastical edifice of breathtaking delicacy and a softness of spirit which is perhaps surprising at the epicentre of London. It is also perhaps surprisingly unknown. 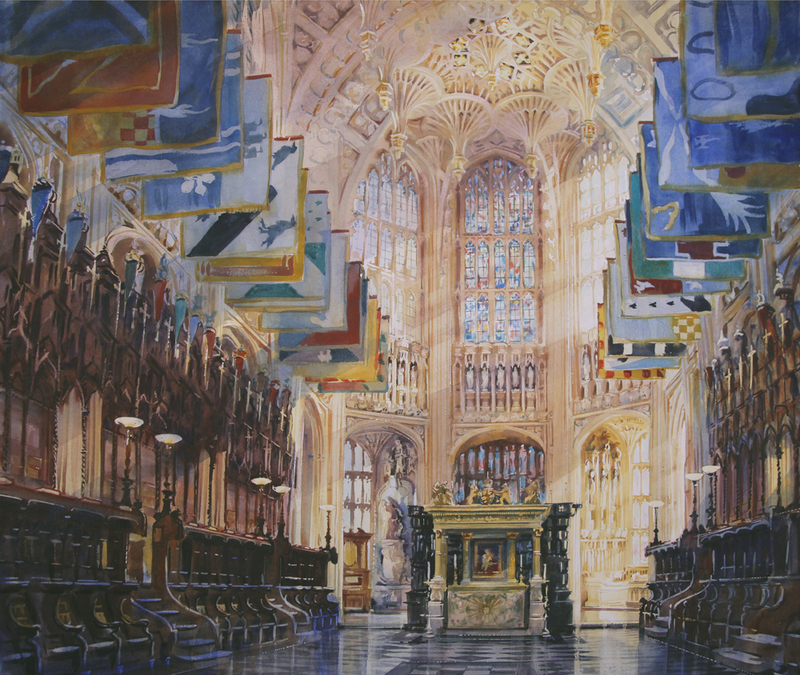 I have been fortunate enough to have been sketching the interiors of Westminster Abbey since January, as the raking low light of winter explores the darker recesses in this treasure house of British history. As a touchstone in a hectic life, Westminster Abbey provides a constant and peaceful place of continued study and reflection, from a historic and an architectural point of view and also for its spiritual importance. Its busy interior is made up of a collection of delightfully intimate spaces, each part separately identifiable from the whole in the same way as were the individuals interred and commemorated there: king & queens, statesmen, poets and politicians. It is a busy place, Westminster Abbey, both below ground and above. On Sundays between services I have found peace to explore with pencil and paper. By contrast I am thrilled to have the opportunity to see the Abbey doing what it does best, namely the pomp, pageant and ceremony of state. I will be sketching the Royal Wedding during the service.